Designed by One Piece creator Eiichiro Oda. 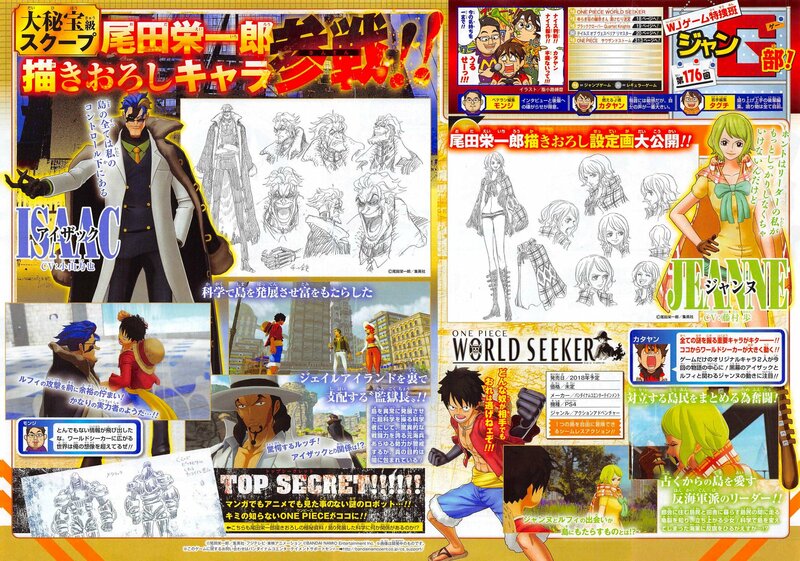 The latest issue of Weekly Jump reveals two game-original characters designed by One Piece creator Eiichiro Oda set to appear in One Piece: World Seeker. One Piece: World Seeker is due out for PlayStation 4, Xbox One, and PC in 2019. In Japan, it will only be released for PlayStation 4.